This is one of my favourite side dishes. It looks beautiful and tastes even better. It’s a great one for dinner parties and makes gorgeous leftovers. Pour boiling water over the cashews and set them aside for 10 minutes. Preheat the oven to 200’C. Chop the cauliflower into florets, I like to use some of the leaves too. Spread them all out on a roasting tray. Generously sprinkle over the paprika and a good pinch of sea salt. Drizzle over the olive oil and toss it around to coat. Roast at 200’C for about 35-40 minutes until tender and starting to brown and crisp. To make the cashew cream, drain the cashews and add them to the blender with the rest of the ingredients. Blend on high until silky smooth. 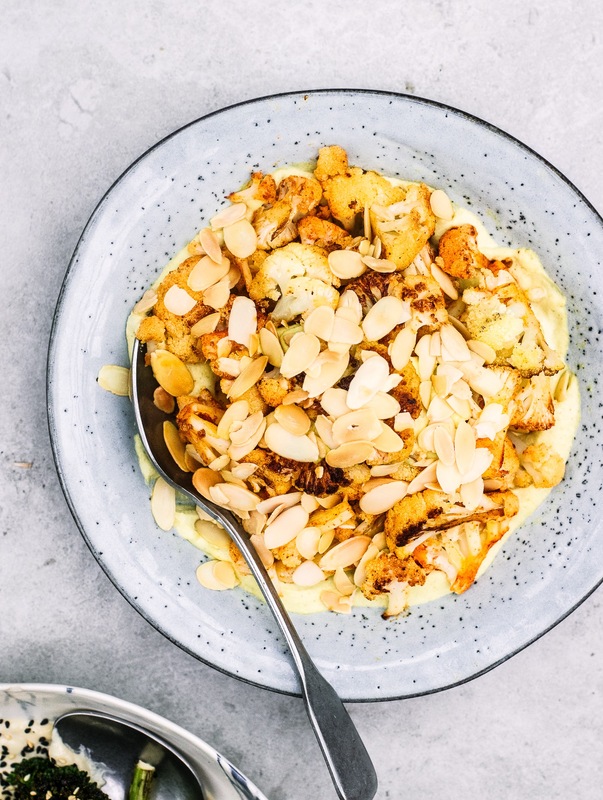 Toast the flaked almonds in a pan on medium heat until golden. Spread the cashew cream out onto your serving bowl or plate. 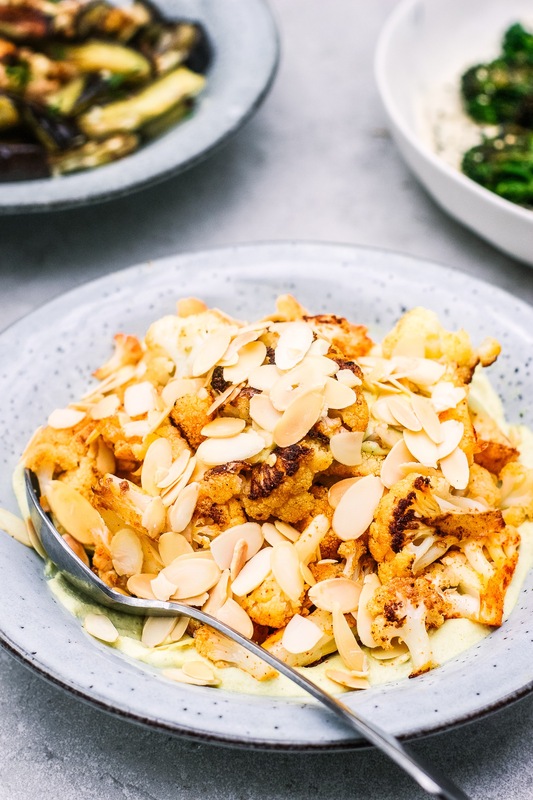 Pile the roasted cauliflower on top and sprinkle on the almonds before serving.